Do we have access to the British Newspaper Archive? A question I get asked quite a lot is if we have access at the Library to the British Newspaper Archive. And it is the sort of question that I would usually be able to give a yes or no answer to but in the case of the British Newspaper Archive it isn’t quite as simple. In fact the answer I would normally give is either “Yes, BUT…” or “No, BUT…”and I’ll try to explain why. “Drawers” (https://flic.kr/p/gaUXpW) by Luke McKernan (https://flic.kr/ps/vNbEP) is licensed under CC BY 2.0 (https://creativecommons.org/licenses/by-sa/2.0/). For those of you that don’t know the British Newspaper Archive is a joint venture between the British Library and findmypast. The site allows subscribed users to search and view digital scans from currently 75 newspaper titles covering over 200 years of history. You can access the site at http://www.britishnewspaperarchive.co.uk/ and do some basic searching. They do allow individual users to get a free trial to access the full database but apart from that the only way you can get access is to subscribe as an individual user or to visit a library that has access to the site. So, do we have access to the British Newspaper Archive at University of Edinburgh? This is where it gets complicated (sort of). The University does not have access to the British Newspaper Archive site as described above. The British Newspaper Archive site is only available to individually subscribed users and public libraries. University libraries cannot purchase or subscribe to this particular resource. University libraries can purchase access to the British Library Newspapers Parts I-V from Gale Cengage. These collections are specifically for the Higher Education Institutions (HEI) market and cover much of the same material as in the British Newspaper Archive BUT they do not include all of the titles from the British Newspaper Archive. Gale have excluded titles with short runs or significant gaps and there may also be differences in coverage where the same titles are available. So what do we have access to at the University of Edinburgh? Through the Library you have access to British Library Newspapers Parts I-V. This gives you access to the full Gale series British Library Newspapers. Through Gale we also have access to some other newspaper collections (17th-18th Century Burney Collection Newspapers and 19th Century UK Periodicals) and individual titles (Times Digital Archive, Daily Mail Historical Archive, Illustrated London News Archive, The Listener Archive, Times Literary Supplement Historical Archive and Economist Historical Archive). 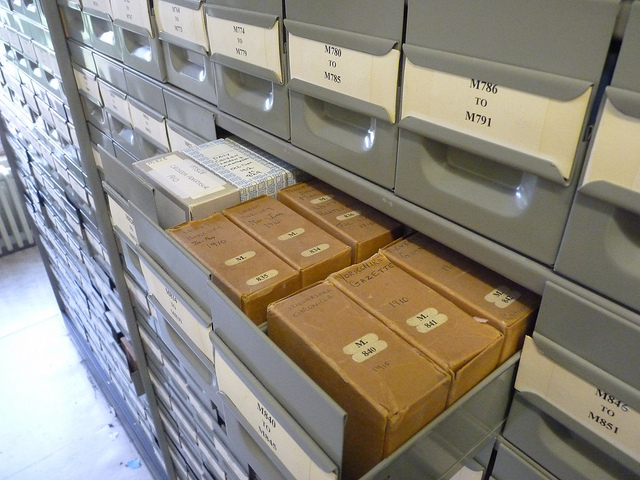 These, along with British Library Newspapers Parts I-V, can be cross-searched or searched individually via NewsVault or Gale Primary Sources (Artemis). Note that British Library Newspapers and/or NewsVault are often referred to as the British Newspaper Archive – just to confuse things! The Library also has access to a wide range of archival newspaper collections and individual title archives from other publishers and service providers. E.g through ProQuest Historical Newspapers we have access to The Scotsman, The Guardian & The Observer, The Irish Times & Weekly Irish Times, The New York Times, The Washington Post, The Times of India, New York Tribune and Chinese Newspapers Collection. To see the full list of newspaper collections (both archival and current) that you get access to via the Library have a look at Newspapers databases. Access to online resources are only available to current students and members of staff at the University of Edinburgh. Screenshot from UK Press Online, a database that includes 3 million pages of 19th to 21st century British popular newspapers, from 1835 to current (updated daily). Just one of the newspaper archival collections you can access at the Library. But what if I really want to access the British Newspaper Archives? What can I do if there is a newspaper available in British Newspaper Archives that is not available in British Library Newspapers or any of the other archival collections at the University? Don’t worry, all hope is not lost! As mentioned previously, individual users can subscribe to the site themselves or if you don’t fancy spending that money you may be able to access it at your local public or national library for free. Check their websites or ask them to see if you can get access. In Edinburgh the British Newspaper Archive is available to use at the National Library of Scotland and the Central Library (Edinburgh City Libraries). You can only access the database within the libraries themselves, check their websites for information about registering to join and how to access the database. This entry was posted in Library, Online resource and tagged 19th century, 20th century, Britain, Databases, History, newspapers, primary source by cstirling. Bookmark the permalink.